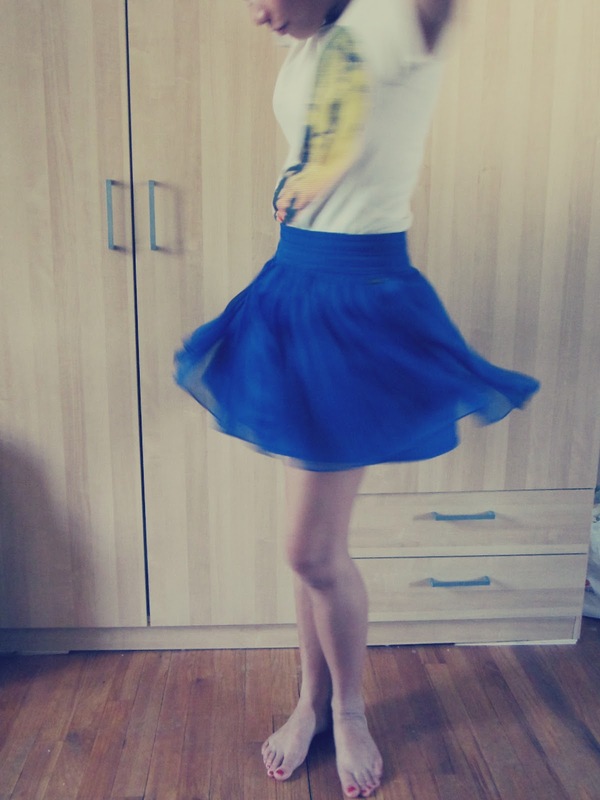 love the twirl picture! 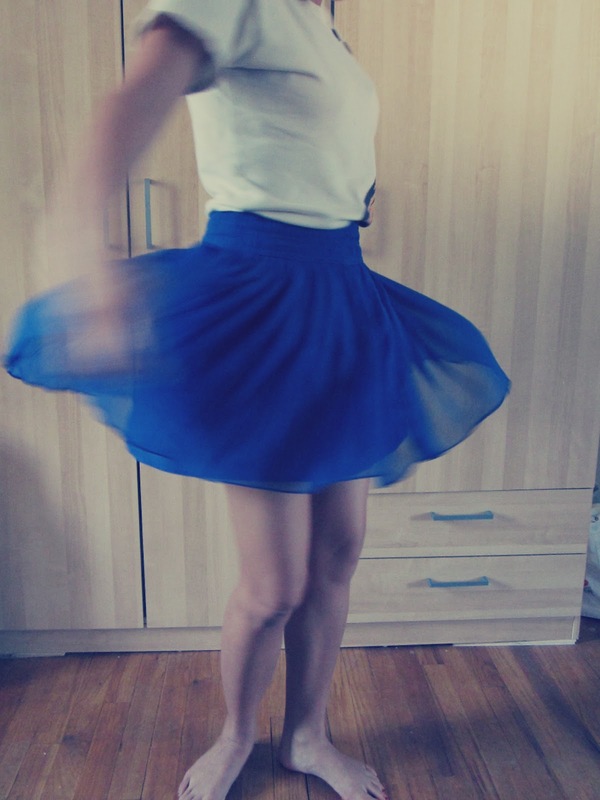 nice outfit :) want to exchange links? 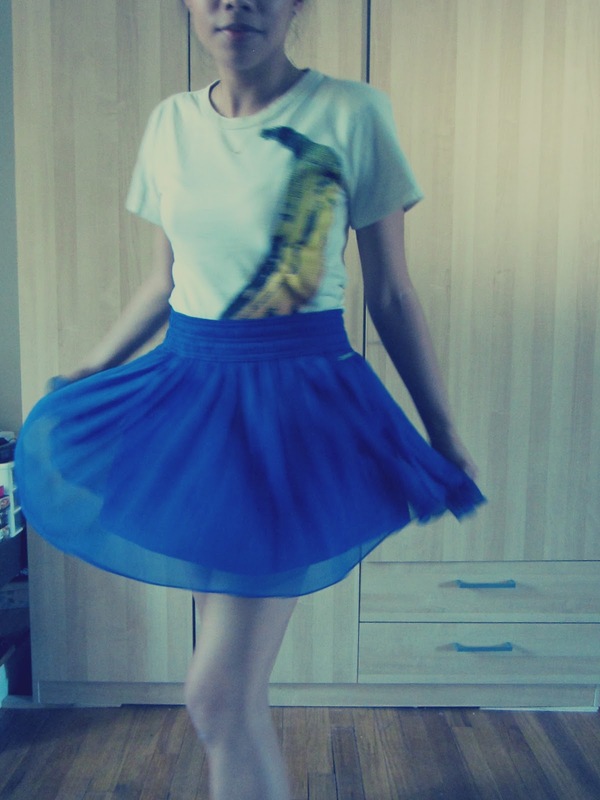 Love the Andy Warhol banana print on your tee, your skirt is pretty lovely aswell!